Dr. Masoud Saman’s remarkable experience in performing rhinoplasty stems from his training in both ENT surgery and facial plastic surgery. The perfect blend of an artful eye, meticulous surgical technique, and precise preoperative planning makes him uniquely qualified to perform some of the most challenging rhinoplasty or revision cases in Plano, TX and the surrounding DFW neighborhoods. At Saman ENT & Facial Plastic Surgery, Dr. Saman understands that rhinoplasty, or nose surgery, is one of the most common and challenging of all facial plastic surgery procedures. It can reshape the nose by reducing or augmenting it to achieve facial harmony and boost self-confidence. Rhinoplasty may be done as a reconstructive procedure to correct a birth defect or an injury, such as a broken nose. This surgery may be performed for functional rather than cosmetic reasons as well. Combining nose reshaping with septoplasty or endoscopic sinus surgery can effectively treat certain breathing problems, such as those caused by a deviated septum or chronic sinus problems. 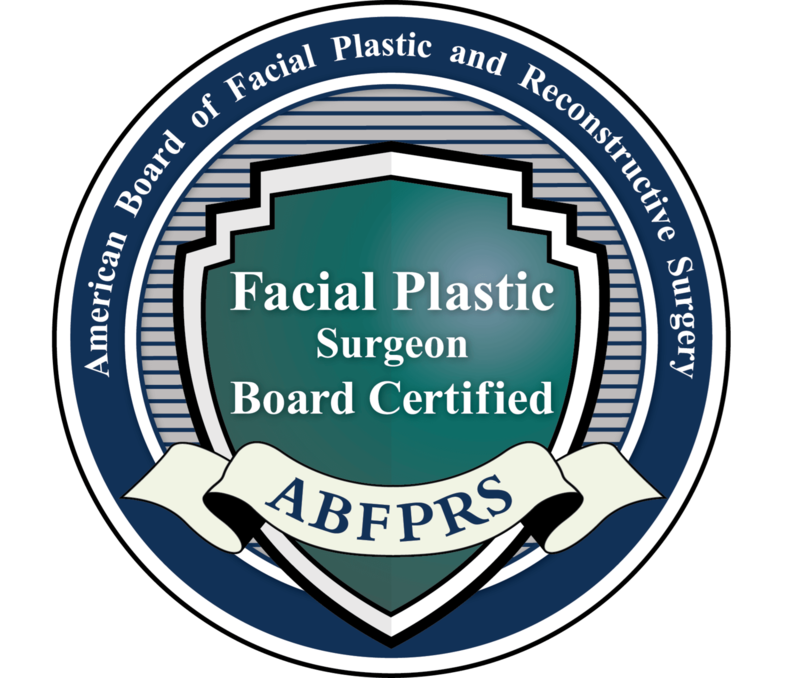 As a board certified surgeon, Dr. Saman, also serves part of teaching faculty for the American Academy of Facial Plastic and Reconstructive Surgery fellowship training in DFW. Join more than 1,000+ people on Instagram who follow Dr. Saman! At our Plano, TX facial plastic surgery office, we have many patients seeking answers about how rhinoplasty will change their appearance. Will it be obvious I had surgery? Will I look natural? Will I like how I look? These questions are common among both men and women during our consultations, and our goal is to ease your fears and educate you about the process, the surgery, and the possible outcomes. Dr. Saman is notably one of the most experienced rhinoplasty surgeons in the region and is known for beautiful, natural results. He also uses innovative, modern, cutting-edge approaches during both the consultation and the surgical procedure. Saman ENT & Facial Plastic Surgery is proud to offer patients the Crisalix Virtual Aesthetics 3D imaging system to assist in visualizing how rhinoplasty will change their appearance. By taking photos and using topographic imaging, the Crisalix VA system gives patients a better idea of what their outcome make look like. 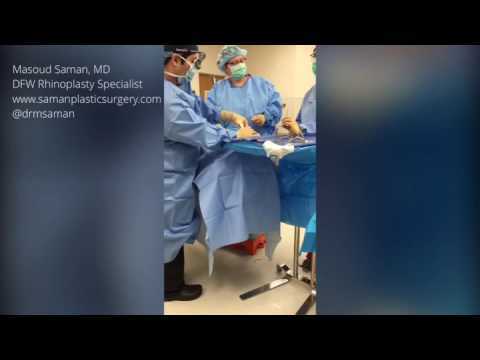 While this can only be used as a guide, this virtual result allows Dr. Saman to make changes to his surgical plan so that the patient feels more comfortable and confident going into surgery. We use Crisalix with all of our rhinoplasty patients with great success. Rhinoplasty performed for cosmetic reasons is popular for both men and women. Some individuals simply do not like the shape, size, or look of their nose and desire cosmetic nose reshaping to create a more appealing look. Cosmetic rhinoplasty is used for noses that are considered too large (or too small), or have a prominent bump, are too wide, or have an abnormal tip. Dr. Saman uses a conservative approach to redefine the shape and size of the nose so that the result is natural, yet very becoming. His focus is to ensure the outcome is in harmony with the rest of the face and accentuates the face from all angles. When looking for a nose surgeon to perform reconstructive nose surgery, it is paramount to find a skilled and experienced facial plastic surgeon. Dr. Saman specializes in all aspects of facial reconstructive surgery and with his ENT credentials, he is able to perform nose reconstructive surgeries successfully and effectively. Patients who have had a previous rhinoplasty by another doctor and are unsatisfied with the cosmetic outcome and/or functionality of the nose make up a large portion of Dr. Saman’s rhinoplasty clientele. As he is trained both as an ENT surgeon and a facial plastic surgeon, Dr. Saman is uniquely qualified to address both the shape and the function of the nose. The soft tissue of the nose undergoes several changes after a primary rhinoplasty, which includes scarring and thinning of the cartilage that creates areas of airway collapse and unnatural narrowing. Sometimes there are persistent bony irregularities and deviations that need to be addressed, as well. Most revision rhinoplasties will need an external approach to address deformities caused by the previous surgeries. Occasionally, there will be a need for cartilage (grafted from the ear or the rib) to be added with a small, well-hidden incision. This will build a strong foundation to mold a new nose that best fits the patient’s face. When it comes to ethnic rhinoplasty, Dr. Saman has extensively studied the features of various ethnic nasal shapes. Classic teaching in cosmetic rhinoplasty training pertains to the surgery of the Caucasian female nose, virtually ignoring the gender and ethnic considerations of other patients. However, most patient desiring cosmetic reshaping of their noses prefer to maintain the characteristics of their ethnic and gender identity. In case of gender, when performing male rhinoplasty, Dr. Saman maintains strong masculine lines and features while addressing areas of concern. An overly feminized look is avoided through the meticulous analysis of the nose and consideration of patient’s specific desires. The African-American nose is characteristically very different from the Caucasian or the Latino nose, as it is marked by less rigid lower-lateral cartilages, wider alar bases, and shorter nasal bones. The Middle Eastern and Greek nasal features are unique and cannot be adequately addressed using the basic Caucasian rhinoplasty techniques. Many of our Middle Eastern patients who have had the previous rhinoplasty elsewhere return to our practice in Plano for revision work. We revise previous nasal surgeries that have post-surgical complications, such as a pinched nasal tip, a nasal bone collapse, or have caused the patient to have difficulty breathing. These nasal issues can be avoided if the original rhinoplasty analysis is customized for the patient’s ethnic features, and performed by a surgeon with experience with ethnic rhinoplasty, like Dr. Saman. "After years of searching for the right rhinoplasty doctor, I went to see Dr. Saman based on a friend's positive experience. Immediately I knew I was in the right place. He took his time explaining the procedure to me and then performed it with expertise. I love my nose. Thank you Dr. Saman! (And the staff is amazing)"
"May I just say that I had the absolute best experience with Dr. Saman and his wonderful staff, especially Ashley! People that know me, know that I typically don't write reviews and I'm the pickiest person on the planet (ok, maybe not the pickiest, but pretty picky). I was told when I was 13 years old that I needed to have a septoplasty done but since I was a kid, I did not want anyone to mess with my nose even if that meant I had to have difficulty breathing for the rest of my life! The first time I met Dr. Saman at the Medical Center of Plano, I was the assigned nurse for one of his patients. After he met with his patient while I was also in the room, my nurse instinct kicked in and I knew because of his bedside manner, his genuity, and to top it all off the world of knowledge and competence he possess, I would gladly have him perform a septoplasty and a possible rhinoplasty on my beloved nose! I took a leap of faith and went into surgery without ever seeing the results of his previous works and I can comfortably say that I was led to him by God and I couldn't be happier with every aspect of my care! Do not look any further because he truly is the best in what he does, he delivers his promises and he truly listens to what you want but does not hesitate to give his professional and knowledgeable insight. This is all coming from a picky nurse that has cared for some of his patients and I'm sure everyone knows that nurses don't easily approve of doctors 110%!" "Dr. Saman is an amazing surgeon/artist. My husband had a terrible botched rhinoplasty done last year by a reputable doctor-hospital in Dallas. This took a toll on my husbands breathing, sleep, and appearance. I found Dr. Saman's practice by accident and was overly impressed with his honesty and bed side manner on what we need to do to get my husband back to normal." "Dr. Saman performed my rhinoplasty. He correctly analyzed my face and realized that I also needed a chin implant. I could not be happier with my nose! He is an artist"
"May I just say that I had the absolute best experience with Dr. Saman and his wonderful staff, especially Ashley! People that know me, know that I typically don't write reviews and I'm the pickiest person on the planet (ok, maybe not the pickiest, but pretty picky). I was told when I was 13 years old that I needed to have a septoplasty done but since I was a kid, I did not want anyone to mess with my nose even if that meant I had to have difficulty breathing for the rest of m...y life! The first time I met Dr. Saman at the Medical Center of Plano, I was the assigned nurse for one of his patients. After he met with his patient while I was also in the room, my nurse instinct kicked in and I knew right away because of his bedside manner, his genuity, and to top it all off the world of knowledge and competence he possesses, I would gladly have him perform a septoplasty and a possible rhinoplasty on my beloved nose! I took a leap of faith and went into surgery without ever seeing the results of his previous works and I can comfortably say that I was led to him by God and I couldn't be happier with every aspect of my care! Do not look any further because he truly is the best at what he does, he delivers his promises and listens to what you want but does not hesitate to give his professional and knowledgeable insight. This is all coming from a picky nurse that has cared for some of his patients and he is that rare type of a doctor that genuinely cares for his patients!" Rhinoplasty is an outpatient ambulatory procedure and may take anywhere from 2 – 4 hours, depending on the complexity and the need for obtaining grafts. Every patient will have a treatment plan and surgery detail tailored to his or her needs and aesthetic goals. You will be given detailed surgery instructions at the time of scheduling. Once the procedure is completed, a nasal cast and splints are placed. The cast and splints will be removed at your post-operative visit. If your surgery was performed via the external approach, your sutures will be removed on your post-operative visit. Generally, patients are seen at 1 and 3 weeks post-operatively. The most common complaint the first week after surgery is the nose feeling stuffy. This is due to intranasal swelling and will subside. Your face may feel puffy, but this swelling will abate as your healing progresses. When you come to Saman ENT & Facial Plastic Surgery for your cosmetic rhinoplasty consultation, Dr. Saman will first listen to your wishes and desires to have a clear understanding of your goals. He will then perform a complete examination of the nose, including assessing facial angles, nasal skin and cartilage assessment, septum analysis, evaluation of the strength of the nasal valves, and much more. In certain cases, an endoscopic evaluation of the internal nose will be performed for a more detailed analysis of the entire nose. Crisalix 3D simulation will then be performed to render a realistic simulation to ensure Dr. Saman's vision is aligned with the patient's desires. By the end of your consultation, you will have a clear idea of what we can offer you to achieve your cosmetic and functional goals. To learn more about rhinoplasty and to determine if the surgery is right for you, contact our office today. Take the next step and learn about important financing information and get answers to your questions. Rhinoplasty is one of the most common facial plastic surgeries in the world. With more than 350,000 rhinoplasty patients in the United States alone, this surgery (in any of its forms), it is a well-received and tolerated procedure world wide. If you are experiencing fear or elevated anxiety about having facial plastic surgery, we will do our best to answer your questions and calm your fears. Dr. Saman is a reputable and skilled surgeon with extensive experience in surgeries of the nose. Will Dr. Saman Break My Nose? Manual nasal fracture during surgery is not always necessary during a rhinoplasty. During your treatment planning session, Dr. Saman will describe your procedure, step by step, and if this planned manual break is needed to achieve your surgery goals, he will explain why. One of the unique aspects of Dr. Saman's practice is the use of ultrasonic bone knife as opposed to the traditional chisel and mallet technique. This allows for precise bone reshaping with much less bruising, swelling and discomfort. Can You Explain A Nasal Pack? If you are having surgery on a deviated septum, for example, Dr. Saman will use nasal packing to control bleeding and to prevent formation of adhesions or scar tissue within the nose. This consists of the insertion of gauze or soft silicone packs into the nose through which patient may breathe. Not every rhinoplasty patient will require the inclusion of these packs. Rhinoplasty surgery is generally a cosmetic facial surgery that is only to change the aesthetic appearance of the patient an not necessary. However, there are some cases where it can be medically necessary to help a patient breathe better, or to correct a deformity from a birth defect, a large cancer biopsy, or traumatic injury through reconstructive techniques and enhanced functionality. Also, there are nonsurgical techniques we may recommend for patients that really do not wish to go under the knife. Dr. Saman can use in-office injectable fillers, such as collagen, calcium hydroxyapatite, or hyaluronic acid (Juvederm or Restylane) to enhance a nose that will soften and camouflage a bump, fill in the tip of a nose, and even out areas that are not consistent or symmetrical.